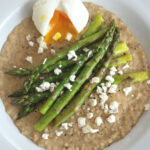 Soft Boiled Egg and Asparagus on Oats is a delicious vegetarian breakfast that is high in protein and full on flavour. I love how the saltiness of the feta compliments the earthy asparagus. 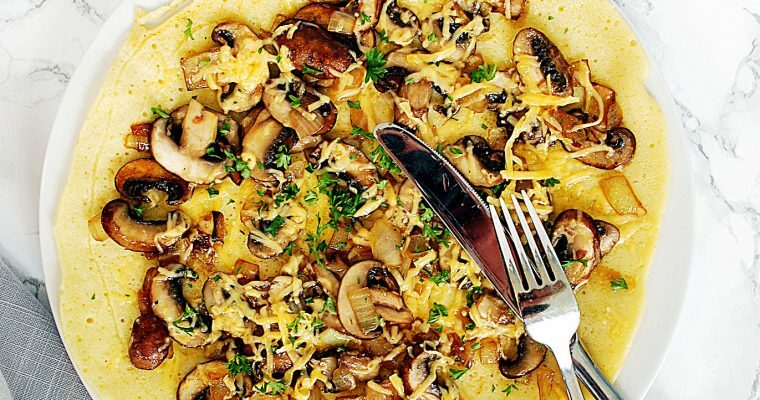 A simple, yet impressive dish perfect for Sunday mornings. Way back in the day, on a trip to San Fransisco, I was introduced to Eggs Benedict with asparagus in the restaurant of the hotel I was staying at. I have to say that I enjoyed them so much, I ate them every morning for the next four days. The soft egg yolk and creamy hollandaise sauce combined with the earthy flavour and crispness of perfectly cooked asparagus were absolutely divine and decadent for breakfast. Occasionally, when we had asparagus in the house James would make a similar breakfast for us on weekends with his own homemade hollandaise sauce. 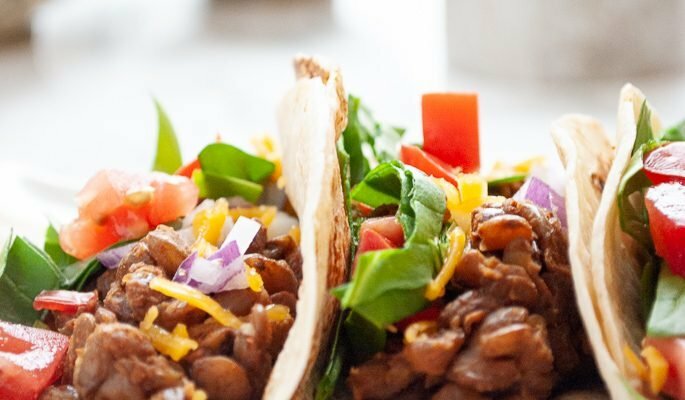 Since we both really enjoyed the dish, we wanted to create a healthier version of it that fit into our new eating habits. 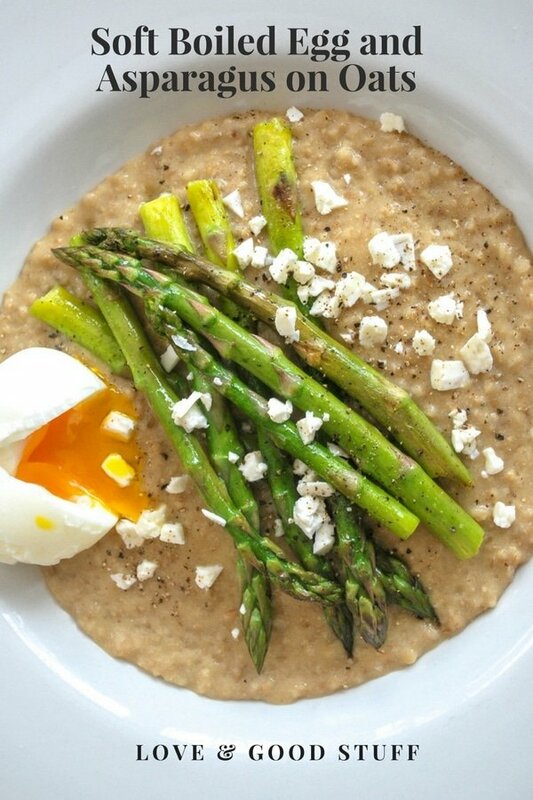 We dropped the hollandaise sauce and toast, and instead created a filling base of creamy steel cut oats. Steel cut oats have become a breakfast favourite around here. 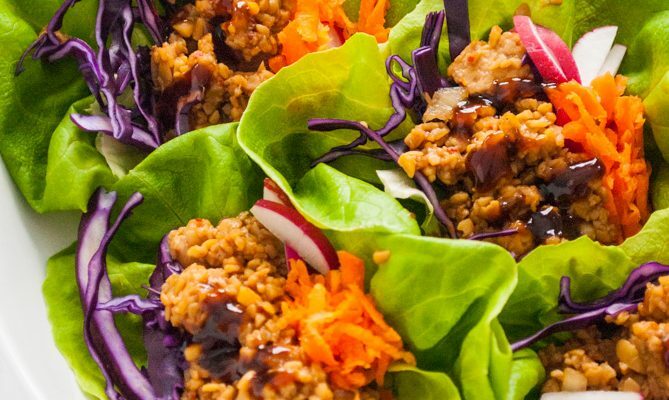 The Instant Pot makes preparation quick and easy and the oats are a low calorie, high protein keep you full until lunch kind of breakfast grain. The addition of nutritional yeast and a dash of tamari to the oats adds a creamy decadent flavour to the dish without the high fat high calorie hollandaise sauce. The result is a delicious breakfast that feels indulgent. Place oats, almond milk, water and 1/2 the salt in the Instant Pot and set to 8 minutes porridge, sealing. Let it release naturally for at least 8 minutes. Heat broiler. Place asparagus on a baking sheet. 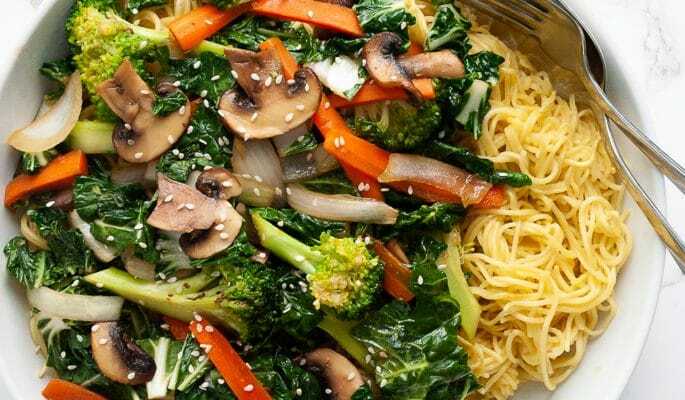 Drizzle with the oil and season with 1/2 teaspoon each salt and pepper. Broil the asparagus, tossing once, until tender, 6 to 10 minutes. Meanwhile, bring a large saucepan of water to a boil. Carefully lower the eggs into the water. Reduce heat and gently simmer for 6 minutes. Cool under running water and peel. Mix the nutritional yeast into the oats and place in a bowl. 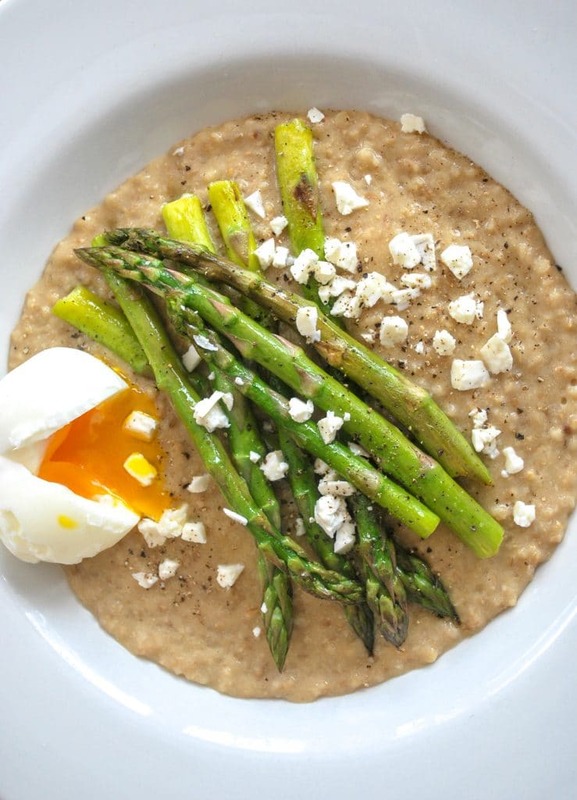 Place asparagus, feta cheese and eggs on top of the oats, breaking the egg so the soft yolk flows onto the oats.